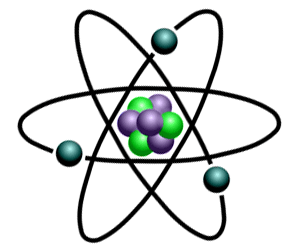 Only a few atoms are capable of independent existence, therefore only a few atoms are molecules. A single helium (symbol He) atom is capable of independent existence so Helium is a molecule as well as an atom. A molecule may consist of atoms of a single chemical element such as with Helium (He), or of different elements, as with water (H2O - Hydrogen and Oxygen) which is called a compound.